Where did we come from? How did we get here? Was it Intelligent Design or evolution? Jeff gives the answers to these and more questions with support from the Bible and the scientific facts. This week Jeff talks about Deuteronomy and gives 3 observations. This week Jeff teaches about how relevant the bible actually is even today. This is week 8 of our weekly THINK Bible Podcast. This week JD covers some more history of the bible plus 2.5 Tribes. This week JD brings us the lesson on whether the Bible was created out of politics or providence. You will learn just how accurate the Bible is and why the books of the Bible are the exact books that should be there and nothing else. We’re on week 7 of our THINK BIBLE podcast series. This week Jeff covers Numbers. This week Jeff explains why we can believe the Bible is fact and not fiction. 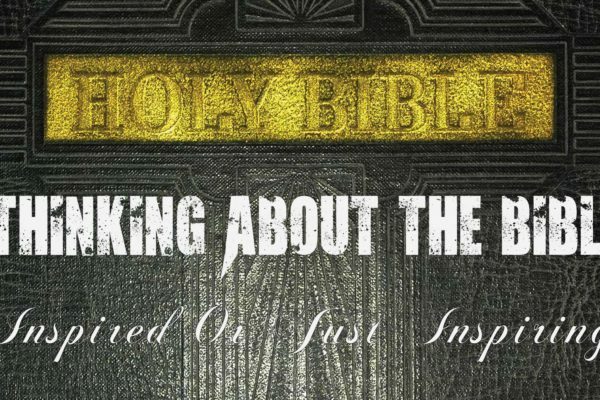 This is our week 6 of the THINK Bible Podcast. This podcast answers a lot of questions about the differences between the old and new testaments and makes 3 points from Leviticus. This week we start a new lesson series… “Thinking About The Bible”. This is the first lesson in the series where we discover all about the little known facts about the origin of the Bible. This is week 5 of the THINK BIBLE podcast. This podcast covers Leviticus 8, 9 and 10.